Since 2003, several million Iraqis and Syrians have left their war-torn homes and relocated in hopes of creating a better future for themselves and their families. Approximately 140,000 of these refugees have immigrated to the United States, the majority with nothing more than the clothes on their backs and a small memento to remind them of home. What We Carried: Fragments & Memories from Iraq & Syria documents the life-changing journey of these refugees and sheds light on the trials and tribulations they experienced in their search for stability. Renowned freelance photographer and author Jim Lommasson invited Iraqi and Syrian refugees to share a personal item significant to their travels to America, such as a family snapshot, heirloom dish, or childhood toy. He photographed each artifact and then returned a 13" x 19" archival print to each participant so that they could write directly on the image to explain why they chose this item, above all others, to remind them of the lives they left behind. All texts are presented in both Arabic and English. The exhibition touches upon the resiliency of refugees from the Arab world and what it means to be displaced, leave everything behind, and start a new life in a new country. This theme echoes one found in discussions of the Japanese American incarceration during World War II, when prisoners were allowed to bring “only what they could carry.’ Just as Common Ground: The Heart of Community and other JANM exhibitions strive to break down stereotypes, provide real insight into the struggles faced by Japanese Americans, and create cross-cultural empathy, What We Carried aims to do the same by sharing the personal stories of Iraqi and Syrian immigrants and the adversity they have experienced. The combination of carried objects and intensely personal stories illustrate the common threads that bind all of humanity: love for family, friendship, and the places people call home. What We Carried is an ongoing project. Since 2010, Lommasson has worked directly with Iraqi refugee communities in Boston; Chicago; Dearborn, MI; Portland, OR; San Diego; and Los Angeles, among other locations. Since 2011, What We Carried has been exhibited in Boston; Seneca Falls, NY; Berea, OH; Jacksonville, FL; Atlanta; Dearborn, MI; Chicago; Skokie, IL; Kimballton, IA; Houston; and Portland, OR. Jim Lommasson lives in Portland, Oregon. To learn more about his work, visit whatwecarried.com. 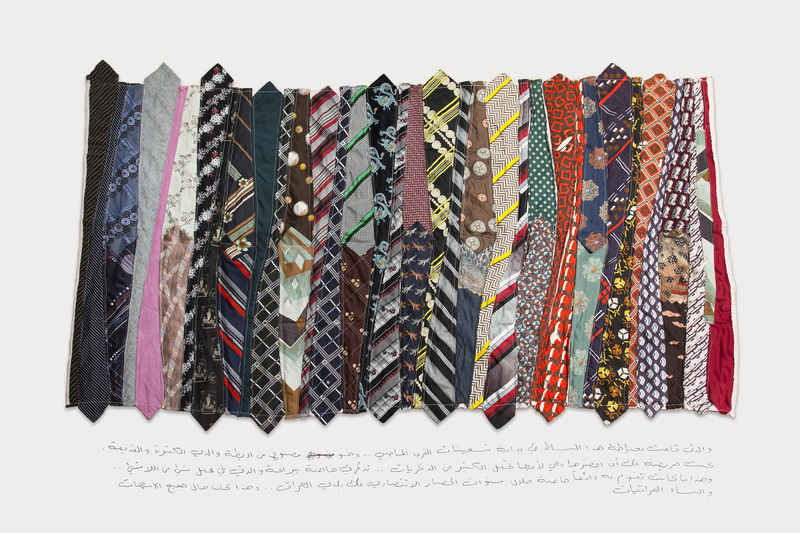 What We Carried: Fragments & Memories from Iraq & Syria is a traveling exhibition of the Arab American National Museum. It was funded in part by the Regional Arts and Culture Council (RACC), the Oregon Arts Commission, and the Arab American National Museum. Visit the What We Carried project website to see more photos of objects with participant statements. All photos by Jim Lommasson.